Argentine forward Lionel Messi won the top three spots in the vote for Barcelona’s best goals. Messi’s goal against Getafe in 2006-07 Copa del Rey semifinal was named as the top pick by the voters. The goal, which was seen as reminder of former Argentine legend Diego Maradona’s goal against England in 1986, received 45 percent of the votes. 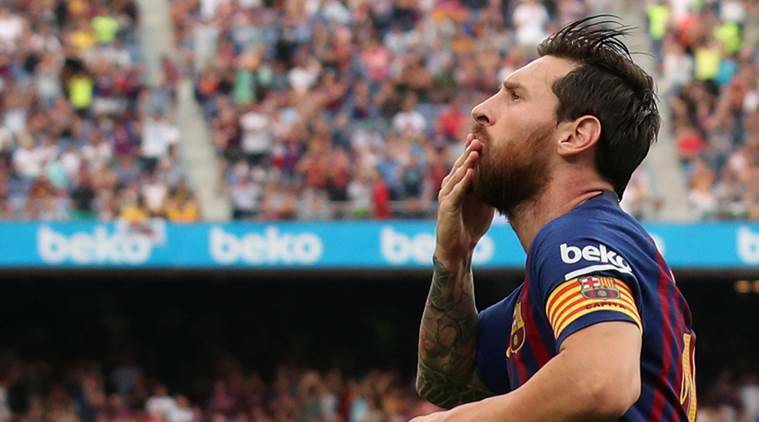 The goal had come after Messi picked up the ball inside Barcelona’s half, and then went past four defenders, followed by the goalkeeper to put it inside the back of an empty net from an acute angle. Messi’s goal against Atletico Madrid in the 2014-15 Copa del Rey final was voted as the second best goal with 28 percent votes. Sergi Roberto took fourth place with his last-minute goal against PSG in 2017, which saw Barca overturn a four-goal deficit to progress to the quarter-finals of the UEFA Champions League. Over 500,000 votes were cast from over 160 countries in the competition. There were a total of 63 goals which were available for the fans to vote for. Ten of those 63 goals up for selection belonged to Messi. Messi is Barca’s all-time top goal scorer. He has scored 591 goals in 674 appearances and made 238 assists.